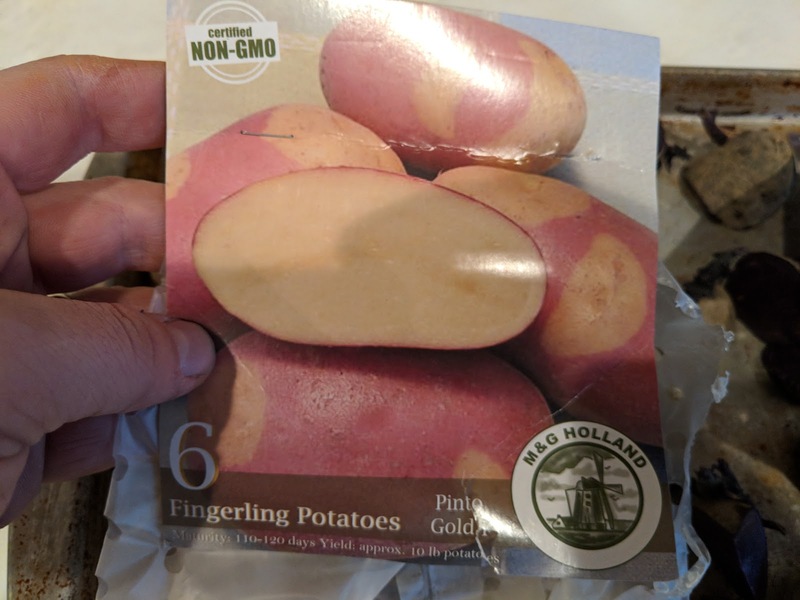 This year, I planted two different varieties of fingerling potatoes in containers - the Magic Molly I (above) and Pinto Gold I (below). These are very similar to the two that I planted back in 2016. 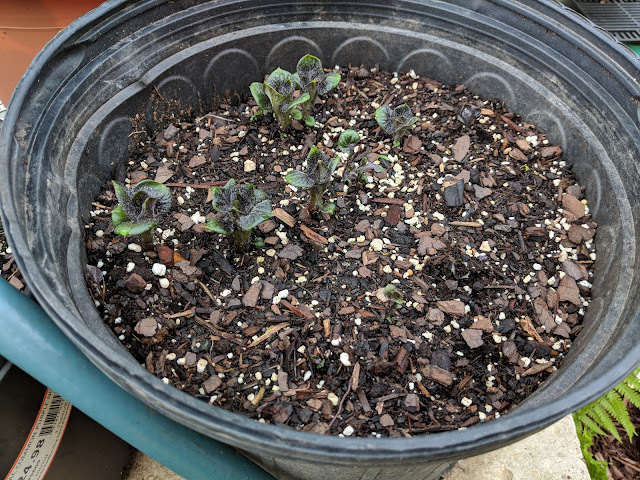 Last year, with the move and all, I didn't plant any spuds. I chose to put these into a series of containers because we don't have a garden set up yet. I took the seed potatoes, cut them up into segments with at least one eye each, then after waiting for the cuts to heal/dry, I planted them in some larger containers that our shrubs/trees had come in. Fast forward to today and look at the growth coming out of the top of the soil. I planted these low and kept the soil level down because I wanted to 'hill up' new soil on top of this growth. 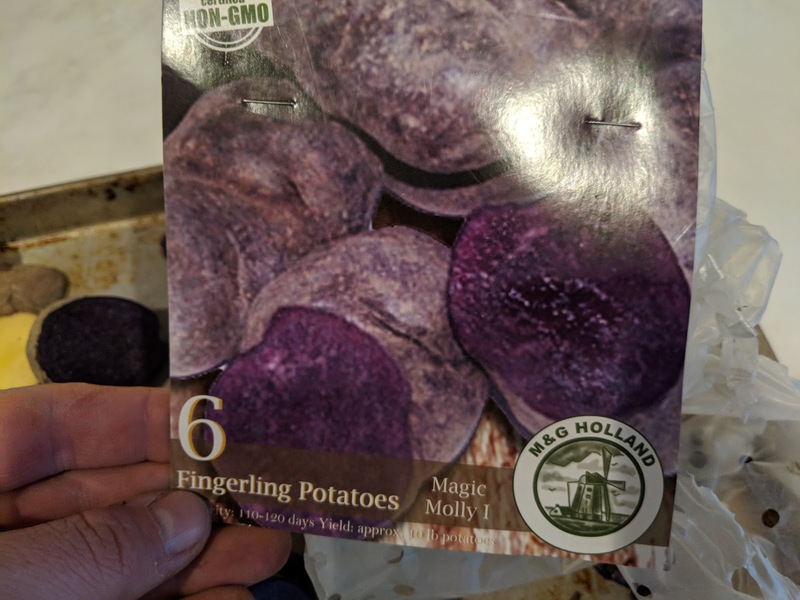 These are the purple Magic Molly's based on their purplish foliage. On top of this new growth, I added a few inches of top soil. Then, when they grow more, I'll add a little more until I reach the top of the container.